FRIDAY, Oct. 5, 2018 (HealthDay News) — After years of public health warnings about antibiotic misuse, a new study suggests the problem is far from being solved. Researchers found that of more than 500,000 antibiotic prescriptions they analyzed, nearly half were written without an infection-related diagnosis. And about 20 percent were given without an office visit — usually over the phone. It’s not clear how many of those prescriptions were actually inappropriate, said lead researcher Dr. Jeffrey Linder, of Northwestern University’s Feinberg School of Medicine in Chicago. His team looked at patient records, and “bad coding” could be part of the problem, Linder explained. He was referring to the system doctors use for recording diagnoses. They suggest that some doctors are still doling out antibiotics too readily — probably, in part, because they assume patients want them, according to Linder. But such indiscriminate antibiotic use is a driving force behind the widespread problem of antibiotic-resistant infections. Antibiotics are effective only against bacterial infections — not the common cold or other ills caused by viruses. When people use antibiotics unnecessarily, that exposes bacteria to the drugs and gives them a chance to mutate and become resistant. For the current study, Linder’s team looked at nearly 510,000 antibiotic prescriptions doled out at 514 medical clinics over two years. The prescribers included doctors, nurse practitioners and physician assistants in primary care and specialties such as gastroenterology and dermatology. Overall, 46 percent of prescriptions were given with no documented diagnosis of an infection. In 29 percent of cases, another diagnosis — such as high blood pressure — was recorded; 17 percent of prescriptions had no diagnosis given. There are times when prescribing by phone is fine, Linder noted. If a woman with a history of urinary tract infections develops those symptoms, he said, it may be “perfectly appropriate” to prescribe an antibiotic without a visit. Dr. Ebbing Lautenbach, chief of the infectious diseases division at the University of Pennsylvania, agreed the study can’t show whether all of the prescriptions were actually inappropriate. “But this certainly raises concerns that antibiotics are often prescribed for reasons that are unclear,” he added. Lautenbach said patients should feel free to ask questions when an antibiotic is prescribed. 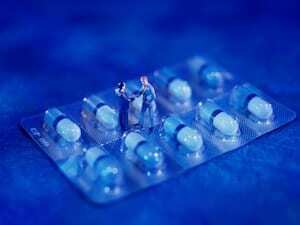 “Sometimes an antibiotic is an appropriate choice, and sometimes it’s not. Providers should explain, ‘Here’s why I think an antibiotic is necessary.’ And there should be a discussion of the pros and cons of taking one,” he suggested. Linder said his team plans to take a “deeper dive” into their data, to learn more about the conditions doctors were treating with antibiotics. “But I think that more often, the problem is the doctor’s perception that patients want antibiotics,” he said.